A city man arrested by police in November 2011 filed a federal lawsuit three weeks ago alleging six police officers handcuffed and “viciously” beat him, according to the lawsuit. Donnie Walton, inmate housed in the Passaic County Jail, alleges in the lawsuit that during his arrest at the corner of East 18th Street and 7th Avenue on November 26th, 2011, police officers brutally beat him after handcuffing him. “These officers went as far as to start assaulting me viciously to the point that I suffered a broken nose, fractured facial bone, broken teeth, fractured right eye orbit, impaired vision, multiple head injuries and a permanent forehead scar,” reads the lawsuit. Walton says in the suit that all the officers took turns to beat him and dragged him to a police vehicle all the while he was in handcuffs. “I was kicked, punched, beat with a foreign object repeatedly then I was dragged for about 30 feet to a police vehicle and thrown in, all this while handcuffed,” says Walton in the suit. The beating resulted in excessive loss of blood, according to the suit. After he was taken to the hospital doctors immediately administered a blood transfusion, says Walton in the suit. “My condition was serious that I was admitted for one day and then I was admitted to the Passaic County Jail informatory for about one month, then I was on the medical unit for another three months before I was allowed to go to population,” reads the suit. After the incident left him with vision problems and “constant head pain,” Walton said he filed assault charges against the officers and complained to the city’s internal affairs office – office that handles complaints against the officers — without any results. “I have filed criminal charges on them and to this day there have been nothing done with these charges. I have spoken with the internal affairs department, which lead [sic] to a cover up, since nothing was done,” writes Walton in his suit. Griffin explained that after a complaint is filed with the internal affairs the complainant receives a letter notifying him whether the complaint was accepted or rejected by the police chief. “He should have got a letter back if he filed a complaint here, according to the AG guidelines we have to send everybody a disposition letter, saying whether the complaint was sustained against the cop and the cop was getting disciplinary action or whether chief not sustained the complaint and nothing further would be taken,” explained Griffin. In his suit Walton is asking the court to provide him compensation for his sufferings. “I would like for the court to grant me compensation for the pain and suffering in the amount of $1,000,000.00 for the lose [sic] of blood I sustained,” reads the suit. 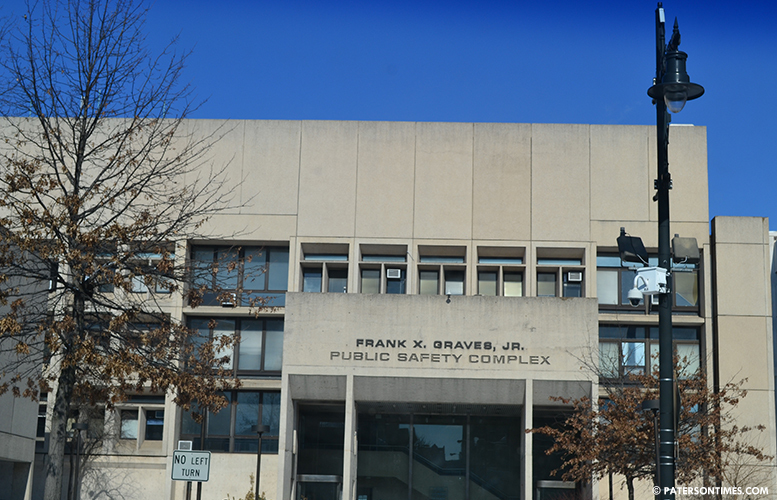 The suit also alleges William Fraher, the city’s police chief, failed to observe “performance records” for the aforementioned police officers. Walton alleges the chief failed to provide adequate arrest techniques and sensitivity training to the officers.